Here at Movable Ink, we invest in a world-class partnership program to help our clients make the most of their martech stacks. When it comes to the email, adding user-generated content to your campaign strategy can be key for creating relevant visual experiences. That’s why we’re proud to showcase our partnership with Curalate. Curalate enables marketers to tap into social content about their brand, regardless of who created it, and use it to sell more effectively online. From powerful social-tracking tools to content discovery features, Curalate gives you the power to find, and get approval for, compelling content fast. 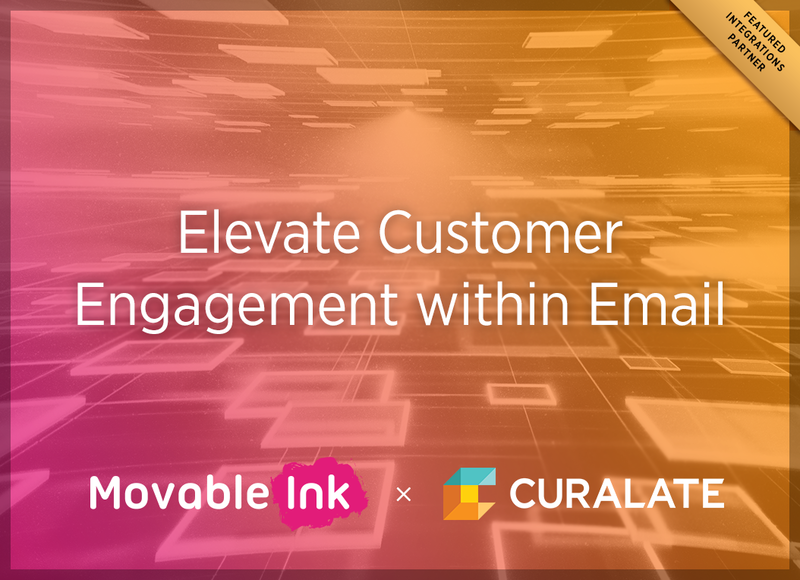 Together, Movable Ink and Curalate enable marketers to dynamically feature lifestyle content from social media within email. This turnkey integration makes it easy for brands to create compelling digital experiences by increasing engagement, click-through rate, and conversions from email. If you’re interested in learning more about our partnership with Curalate, check out this one-pager and our UGC webinar recording. This entry was posted in Partners and tagged Curalate on March 27, 2019 by Carine Alexis.